Amid long-standing controversy on their causes, which most regard as neurological, and despite their increasing social impact, there has been scant progress in the therapy of the autistic spectrum disorders. Currently fashionable attempts at treatment through behavioural-cognitive focal approaches do not seek resolution, only re-education and rehabilitation. 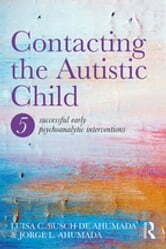 Contacting the Autistic Child explores the clinical process in the early psychoanalytic treatment of autistic children. 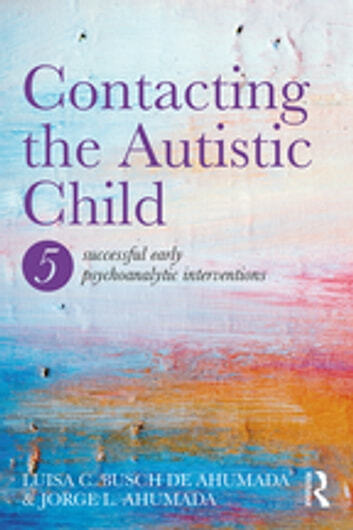 Organised around five detailed clinical case studies, and drawing on the ideas of major clinicians in child analysis such as Tustin, Winnicott and Alvarez, this book sets out a clear programme for working with and understanding autistic children in a psychoanalytic setting, with a particular focus on issues of clinical technique but also conceptual matters. Working on the notion that autistic disorders come to be – as Winnicott and Tustin saw it – from an early rupture of the affective communication between baby and mother, this book aims at reinstating such communication in the child-analyst interaction. By way of detailed description of what goes on in the analytic link, the authors strive to make the reader share in what goes on in the clinical setting, evincing how, though at times excruciatingly hard on the therapist, resolution is attainable. Once the "primal dialogue" – to use René Spitz’s terms – is reinstated in a stable way in session, it flows by itself into the family ambience. The clinical accounts of this book make the argument that psychoanalysis, carried along Tustin’s technical lines, and subject to the proviso that treatment starts early, preferably in the first three years of life, is the treatment of choice for autistic spectrum disorders. The strong methodological narrative is important and notable in light of the doubts, criticism and uncertainty that have surrounded the psychoanalytic treatment of autism. This novel, highly detailed narrative of five successful early treatments aims to help dispel the pessimism pervading the field and help to redress the lives of many more children. Contacting the Autistic Child will appeal to psychoanalysts and psychoanalytic psychotherapists endeavouring to obtain results in a major area lacking resolutive approaches.